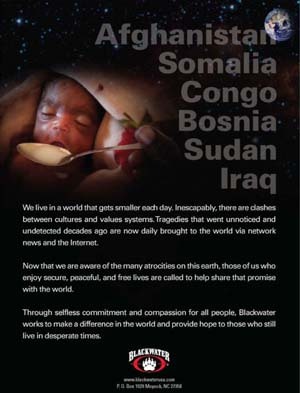 Advertisement in the International Peace Operations Association's Peace Operations, Volume 2, Number 5 - March/April 2007, p.2. current 01:59, 1 May 2007 200 × 262 (20 KB) Bob Burton (talk | contribs) Advertisement in the International Peace Operations Association's Peace Operations, Volume 2, Number 5 - March/April 2007, p.2. 01:57, 1 May 2007 300 × 393 (28 KB) Bob Burton (talk | contribs) Advertisement in the International Peace Operations Association's ''Peace Operations'', Volume 2, Number 5 - March/April 2007, p.2. This page was last edited on 1 May 2007, at 01:57.